Check out the Shoe Clearance SALE happening now until February 4, 2018 at the Event Center Bldg A, SM Megamall. 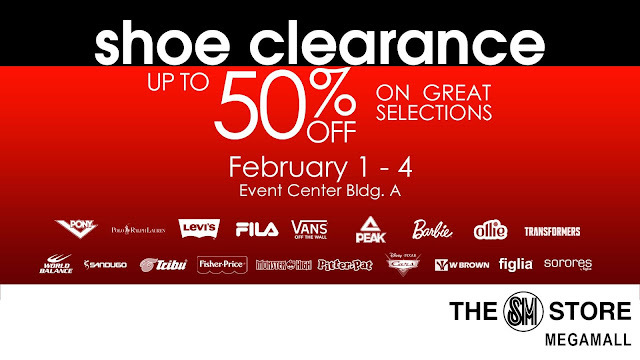 Get up to 50% off on great shoe brands. Participating brands: Pony, Polo Ralph Lauren, Levi's Fila, Vans, Peak, Barbie, World Balance, Fisher Price, Figlia, and many more!